"I promise to do all I can to protect children from gun violence by encouraging and supporting solutions that creates safer and healthier homes, schools, and communities." We are supremely proud and grateful for each of their achievements, and for being a role model to every child and young person. Youth Enlightenment System was born to provide the best opportunity to the children for their integral development, social, educational and moral. Defenders of the most basic social rights of children and youth. Our children and youth symphony orchestra is a structured program of reportorial sequencing, consisting of popular and classical music for each level: pre-infantile, infantile and juvenile, both in the symphonic and choral orchestral sphere. The structure of the study programs is integrated with a continuous evaluation of the processes of: imitation, precision, control and automation both individually and in group settings. We take into account technical indicators in each phase. 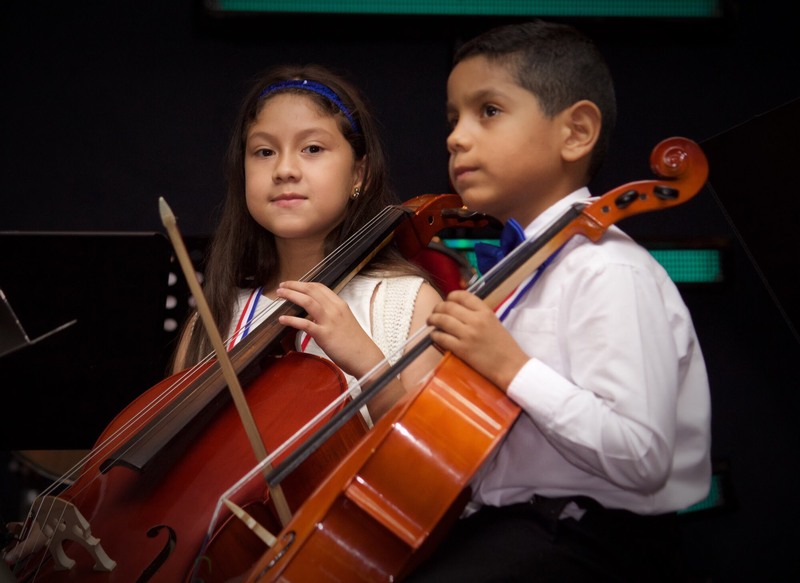 This Program seeks to perfect the musical technique and develop aesthetic social, moral and ethical values in children and young people. is dedicated to the care, training, integration and development of children with diverse special needs where they receive and discover how to express with greater resources such beautiful abilities of each of the children. The Hand Bells Chorus is one of our programs that integrate children and young people with different disabilities, such as: Hearing Impairment, Down syndrome, Language Difficulty and Physical Motor Disability, among others, as well as those who without any disability, set the example to the right that we all have to participate in society; fostering social integration. Our program works by presenting the hand bell as a musical instrument and assigning each child the responsibility of playing their instrument. The distribution of the musical notes among the children teaches them to collectively form a melody, thus aiding in the development of a harmonic base and a collective result. This program has more therapeutic success because it stimulates the health and development of our special needs children in a safe and rewarding environment. This program is an introductory initiative to the world of music, we promote auditory stimulation, musical reading and writing as well as promote personal interaction with social and community life through the collective practice of music. Learn more about Youth Enlightenment System, Corp.